I spent the better part of last week with a lot of non-Nigerians at the World Economic Forum and I always like to use that as an opportunity to sample international perceptions of my dear country. It helped a lot that there was a large African contingent there, which for me is usually better. Other Africans are close enough to Nigeria not to be too influenced by the international media. But they are also far away enough from Nigeria to have a non-Nigerian perspective. Interestingly, the first few people I asked seemed to have very positive things to say about Nigeria. Words like; ‘extremely enterprising’, ‘entrepreneurial’, ‘hard working’, ‘intelligent’ and ‘resourceful’; were thrown around by the Ghanaian, Tunisian and South African I had a conversation with. The overriding theme was basically about the never say die spirit of the Nigerian. What caught my attention was the one thing they had in common with us. Nigerians always say; “If you go anywhere around the world and you don’t find a Nigerian, leave.” Turns out, that’s a popular saying in all of their countries. There was a lot of talk about the social scene in Nigeria too. They particularly loved the nightlife in Lagos and actually agreed with ‘Banky W’ that there “Ain’t no party like a Lagos party.” Well, even I had to agree with them after spending a night out in Addis Ababa and listening to the club DJ play American music mostly from the last decade, with club patrons spending an average of N2000 per person; a clear departure from the champagne life in Lagos. I know there is a large Nigerian population in Malaysia so it was pretty easy for me to believe her. I went on this long explanation about how there were too many Nigerians to go round. With 160 million resident at home alone and an equally large population in the Diaspora, all it took was for 1 million Nigerians to be bad and the entire population’s reputation was ruined. Not minding the fact that 1 million represents less than 1% of the population. As much as a lot of them recognized the fact that our population is our biggest asset, it was obvious that the negatives that come with it can also be a huge problem. Talk about Nigeria’s infrastructure couldn’t be avoided either. Many complained about our international airport, the roads and traffic in Lagos and of course power; all issues Nigerians complain about too. There is no doubt that these issues need to be fixed because all it takes is a one-day visit to the country and you would have experienced all of the above. No amount of international posturing and marketing can hide the fact that a lot of these things don’t work back home. Wow. I'm actually surprised to hear you were eager to hear what other africans had to say. It is my experience that they harbour a huge margin for bias owing to so much resentment and jealousy and perhaps embarrassment that they feel towards Nigerians. Non-African Foreigners tend to be more polite and less biased…I think However, your observation seems to prove that they might have become a little more objective. Nice wan dia bro, trust me the Nigerians performing those stunts in Malaysia are true born Warfi boys, or people who have affiliated with Warfii people. it is called Drop and Sky. Great piece. It always brings a huge feeling of excitement when I am constantly reminded of the resilient nature of the average Nigerian man/woman. It makes me keep the hope alive. 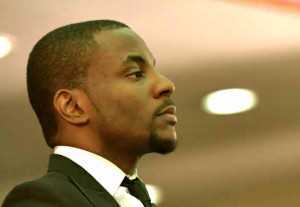 Very well written Ebuka, with hopefulness and honesty. The beauty and the shameful challenges of Nigeria. So proud of you,Ebuka. I believe that if our nation begins to actually work,most of these negatives will reduce to the barest minimum cos it's a simple web. Poverty,power instability,lack of infrastructure,poor roads and laissez_faire attitude of our leaders to all these are our problems. I wonder if the powers that be actually read all these intelligent articles,because if they do and still choose to turn a deaf ear,we have a long way to go. We have hope though,after all,as you rightly said,we are positive people and blessed with never-die spirit. Am I the only one curious to know what question you asked the African Heads of State?